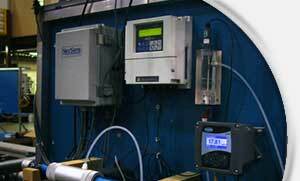 The Advanced Monitoring Systems Center verifies the performance of monitoring technologies for air, water, and soil. Technologies include ambient fine particulate monitors, mercury emission monitors and portable test kits for arsenic in water. EPA’s Environmental Technology Verification Program (ETV) concluded operations in early 2014. The program, a public-private partnership between EPA and nonprofit testing and evaluation organizations, verified the performance of innovative technologies. From 1995 to the present, ETV has provided credible data on nearly 500 technologies, enabling purchasers, regulators and others to make decisions on adoption of these new technologies. The program was designed to become self-supporting and eventually no longer require EPA funding or in-kind support. In 2007, ETV moved to a fully vendor/collaborator-paid program with EPA providing only in-kind technical support, quality assurance, program evaluation, and outreach. With the program's end in early 2014, the program name and logo will no longer be used except in reference to technologies verified while the program was active from 1995 to early 2014. From 2007 to 2010, the United States ETV program participated as a founding member in the International Working Group (IWG) on ETV. The goal of the IWG has been to develop an international approach to verification that will allow mutual recognition: “Verify once, Accept Everywhere.” This effort culminated in the IWG’s request to the International Standards Organization to develop an ETV standard. ISO agreed to take this on and EPA is participating in the effort with ISO to ensure the knowledge gained from the US program is captured in the international standard that is developed. This website carries protocols, test plans, reports and verification statement summaries for the verified technologies for all environmental media—air, water, and land.